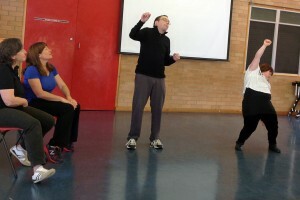 StageFlight offers a series of drama classes for adults with a disability when there is sufficient interest. 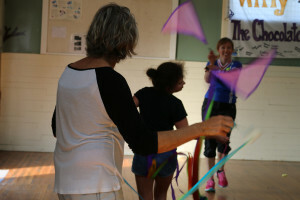 Tutor: Lis Shelley from StageFlight and Ruth Pieloor from Canberra. 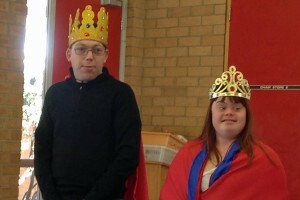 Workability in Bega has engaged StageFlight for a series of drama classes for adults with a disability in the first half of 2016 – contact Emilie Bird at Workability Bega for details on 6492 3995. 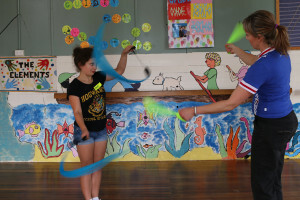 Classes include warmups and theatre games that exercise the body, the voice and the mind. 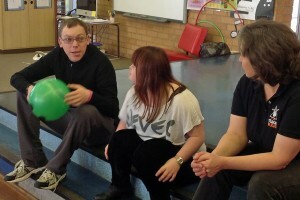 We practise improvising short scenes in a fun learning environment that exercises our imagination. Our contact number during class time is 0438 957160. Please leave a message if the phone is switched to silent. (no thongs, sandals, heels or slippery socks). Please bring a water bottle, as theatre games make you thirsty! A healthy snack is also recommended. Pets, smoking, drug and alcohol consumption are not permitted. 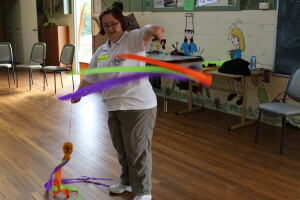 Each class begins with warmup exercises to prepare your voice, body and mind for the main class activities. Please be on time! 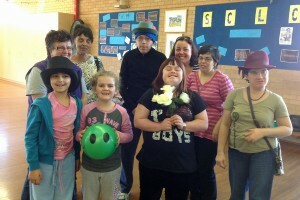 Please make clear your special needs on the enrolment form. Please do not come to class if you are feeling ill or have an injury that will make class activities difficult for you. 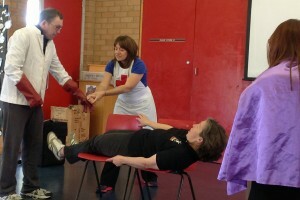 Many of our activities involve physical movement and you may risk making your illness/injury worse. Actors need their voices, so avoid bringing a cold to class! If you can’t make it, a phone call or email beforehand would be appreciated. More info: Contact us for more details or to be on our mailing list.